Rewards pool is member based vote bot with a twist. 8 members will be randomly chosen out of the Pool each day and receive a 100% Upvote from the @rewards-pool account. In this post you will read everything you want to know about @rewards-pool, how it all works and our game plan till the first 100 members. To start we are securing a 10,000 SP deligation for opening day. It is our hopes that through curation and @rewards-pool post payouts we can greatly increase this. The goal right now would be to secure a 20,000 SP deligation within 3 months hopfully sooner. It really all lies in how much support the @rewards-pool community gets from its members. If you want to see those upvotes get even bigger please Upvote the @rewards-pool post daily. I crunched some numbers at current prices on May 7th. Now keep in mind the payouts can flucuate as the price of steem goes up or down. This would be the very conservative figure as I did not add in the curation or the @rewards-pool post pay outs that will all be converted into power and/or used for deligations. With that in mind the upvotes from @rewards-pool should be a bit higher than what is posted below. When we are able to secure the 20,000 SP deligation the Upvote figure should rise a few dollars. As far as the odds go that will stay the same. What is the "Dry Off" period, how does it work and when will it take effect? The "Dry Off" period was created to give everybody a fair shot and increase the odds for members that were not selected in the previous day(s). Essentially members that were selected for upvote get taken out of the pool for a specified amount of time based on our membership level (View the table below for more info). Below are some key points of the Dry Off period. After being selected for an upvote your spot is taken out of the pool to "Dry Off" and give others a fair chance at being selected. If you have multiple spots only the spots selected will be removed from the pool and put in the "Dry Off" period. The other(s) remain in play. After we have 100+ members the Dry Off will be reviewed by staff to see if its working and/or needs adjustments. To become a member and get in the pool you have two options. Each 250 SP deligation or 10 Steem per month gets you a spot on the list which is used to pick the daily winners at random. Each member will be allowed a Maximum of 4 spots in the pool but may only receive 1 Upvote per day from @rewards-pool. ● You must be a member by deligating 250 SP or sending 10 Steem monthly to @rewards-pool to receive an upvote. ● You must have a post no more than 3 days old to receive an upvote upon your account being randomly selected In the daily drawing. 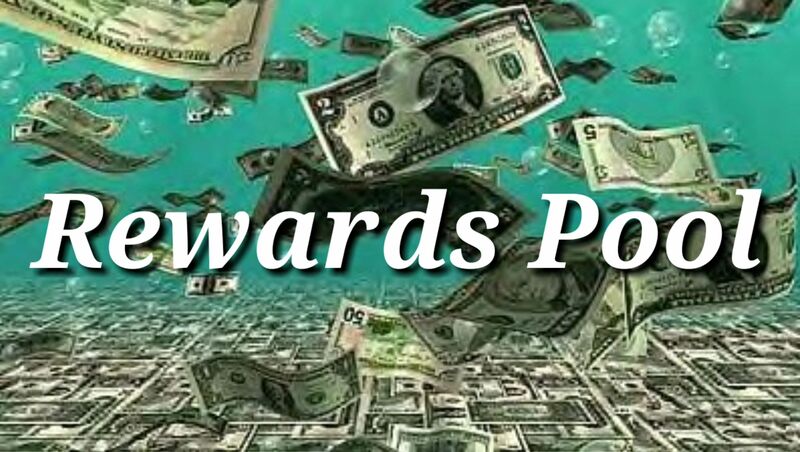 @rewards-pool is great oppurtunity because with every member the upvote only increases. Using the "Dry Off" period insures that even with increased membership the odds of selection still stay at a good level. From launch this will statistically be a good deal with our minnimum 10k SP deligation base and member deligations but you throw in our plans for growth this can really snowball into something huge. We hope to see you in the pool on launch date May 18th. And 💥BOOM💥 goes the dynamite! Took me a minute to find this post again. My Steem will be sent over by weeks end. Thanks for this @rewards-pool! I am in! Delegation complete!! Let me know what else I can do! And thank you Stok!! I love seeing all my friends support. I'm in! I just delegated 250 steem! Very cool what your up to @rewards-pool!! At the time no. I like the idea but it would make things a lot harder to handle. My goal was to keep it pretty simple. this is great investing sir and thanks for sharing this, this is something new to me. i will always follow you for your work.i am like your activity. I am in like stink on the b3ar !!!!!! We are glad to have ya harley! Thanks Stackin. Worked really hard on the numbers. My goal was to create something that I would want to be a part of. It worked! May I send the 10 steem now? 10 steem sent. Let's go to the moon! Glad you could make it Mrs V!!! Awesome. I think I want to get in on this. Just sent over the delegation. Anything else I need to do? Exited for the project. This seems like a great initiative. Sounds like a neat idea but I barely get in a post per week the way I do things so my chances are more than halved. drat I don't have enough hours in a day, I come home I'm already falling asleep on my keyboard. Sounds like an interesting initiative guys, lots of great bots showing up around steemit. I’ll start saving up to join you fellows. You got a 4.95% upvote from @postpromoter courtesy of @raybrockman! Is the steem delegation every month !? or just the 10 steem. So the deligation just stays with us as long as you want to be in the pool. Its a one tine deal and you can take it back whenever you choose. The 10 steem is monthly. Deligation is the way to go if ya got it. Interesting. Gonna do a bit more research before trying it out but seems like a cool idea. That's a great idea.! unfortunately i do not write too much at the moment. But i will certainly come back to this!